In the subterranean depths beneath Piccadilly Circus, something extraordinary is going on. My friend Prince of England, the Underground Dancer tipped me off about it, and so I took Spitalfields Life contributing photographer Patricia Niven along to see for myself what was happening down there in the tunnels under the Trocadero. Above ground, tourists were gathering at Eros’ statue in the evening sunlight and sightseers were surging through Leicester Sq as the quickening of energy that accompanies Friday night filled the crowded streets with a crackling excitement. But stepping into the Trocadero, past the souvenir shops and fast food joints into the labyrinth of escalators and amusements arcades – apparently bound together only by eccentric towers of scaffolding and ceaseless jangling pop – and descending to the basement, you discover the secret heart of this place, the true source of heat and hullabaloo in Piccadilly. 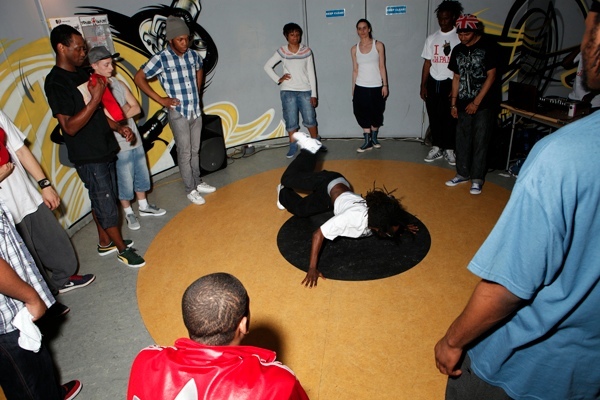 For more than a year now the tunnels connecting the Trocadero and the tube station have been appropriated by the street dancers of London as a rehearsal, practice and jamming space where they can meet together and display their superlative artistry. Upstairs above ground, almost every form of entertainment or culture involves money, but below ground it is all about talent, and daring, and wit, and showmanship, and the love of dance. As you enter the tunnels, you are aware of leaving a commercial environment and entering a space that has been reclaimed by people as a meeting place of equals, because among dancers of divergent ability and accomplishment, everyone has come to celebrate a shared enthusiasm, and the sense of goodwill is immediately apparent. 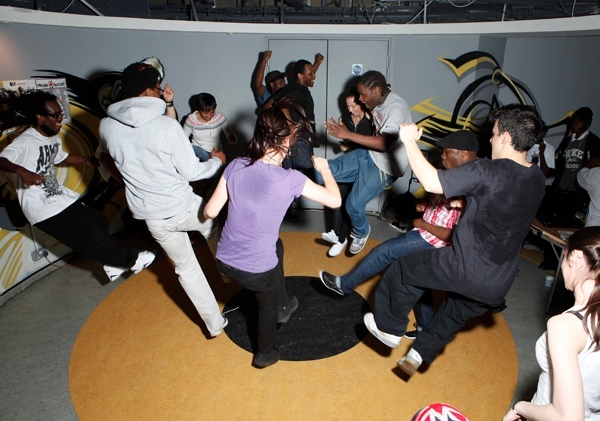 Turn left at the foot of the moving staircase on any night of the week and you will see people standing on their heads and attempting to spin. These are the neophytes on the periphery, those – like you and me – who are drawn to dance but as yet have only the modicum of technique. 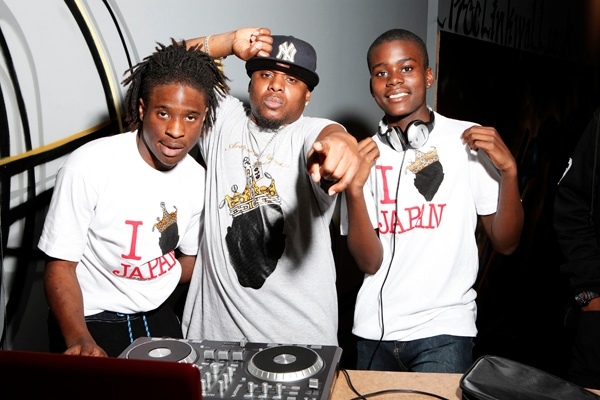 They come to aspire, to learn the moves and to win respect among their peers. They look a little lonely and a little needy, standing on their heads and falling over and trying again. Show them a nod of deference but please do not linger to make them self-conscious. 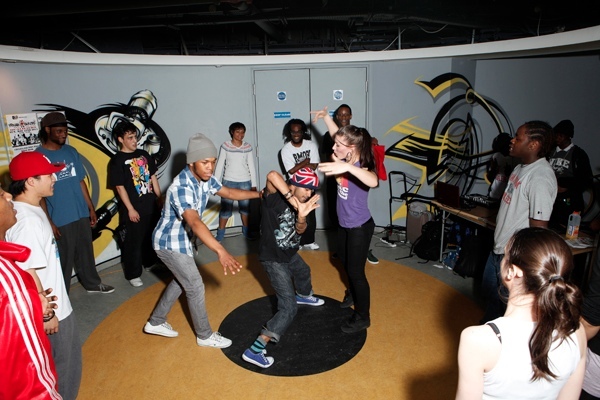 Next, at the entrance to the tunnel you discover a round space, like tiny circus ring where a DJ and and an MC preside over a jamming session of dancers circling constantly, coaxing each other forward, popping, locking, krumping, waacking – showing off, playing games and enjoying high jinks for the delight of a small overexcited audience. Jump up and join the crowd, and now you are part of it. 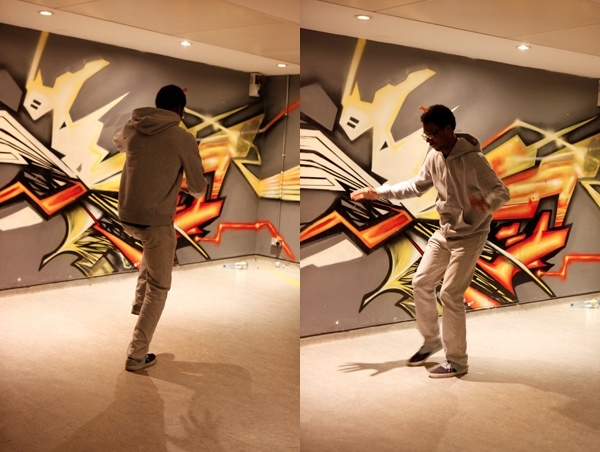 Look beyond this and you see the breaking boys – the stars of the underground dance scene – who command a wide floor with a painted backdrop where they practice their blow-ups. This is the prime space that those you saw standing on their heads at the entrance to the tunnel aspire to, where a quieter, more concentrated atmosphere presides. The breaking boys sit in a line upon a low bench, dripping with perspiration, loose limbed and wild eyed, collecting their faculties before taking it in turn to step up and lay down their moves – commonly halting mid-move and collapsing onto the floor in frustration, yet always going back to venture again. And there is plenty of mutual encouragement here, because the breaking boys are not battling each other but the limits of their own abilities. From the opening movement of the comedic running on the spot movement known as “top rocking,” it is a swift transition for the breaking boy into “blow ups,” the extended heroic sequence of spinning upside down that is the tour de force of break dancing. Placing weight upon a single hand, or an elbow, or on his head, the breaking boy defies gravity, propelling himself ever round with supreme dexterity, obeying multiple rhythms within the music, yet halting and reversing the spin at whim – in cartoon-like self parody – just to distract you from the heart-stopping accomplishment of his moves. It is a brilliant and sophisticated expression of the strange experience of being human, in which the psyche is in constant motion, juggling myriad thoughts and actions simultaneously with extraordinary ease. Once these gloomy tunnels beneath the Trocadero were empty, just the rare lone commuter coming through occasionally, taking a short cut and hoping not to get mugged. But today the management have granted licence to the dancers to be here and now those same commuters halt in their tracks to stand in open-mouthed amazement at the exuberance of the show. 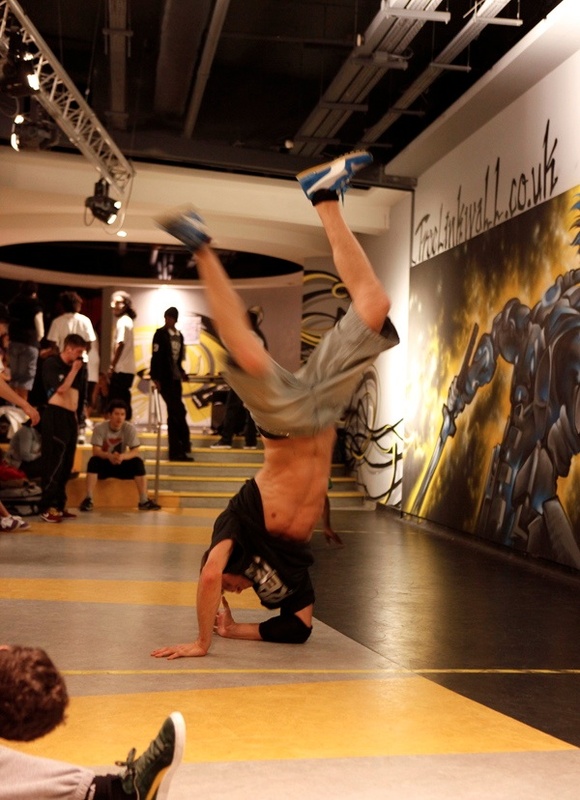 London is the centre of the world in street dance and at the very centre of London the dance goes on relentlessly. 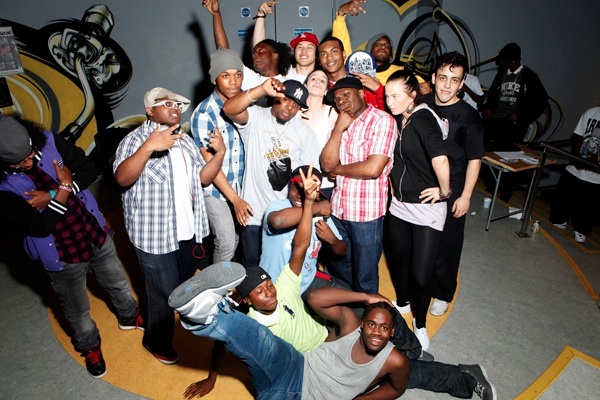 A community has come together spontaneously and the wonder of it is that, surrounded by lofty cultural institutions, corporate-owned entertainment complexes, and chains – in spite of all that – these dancers are here for the hell of it. This is the party where everyone is welcome, the best show in town where you do not need a ticket. The breaking boys are here to express the joy of being alive, and being full of beans and in your moment of glory. Of all forms of human expression, I find dance the most emotional, and the sight of people leaping for sheer pleasure is one that never fails to touch my heart. So, if you go up West, this is where you have to go – because here and now in London, this is where it is at. And this is what I call culture. The energy emanating from these images just makes me tired! I must be getting old. secret heart of this place, the true source of heat and hullabaloo in Piccadilly. No more breaking boys (or girls): the area has been converted into a shabby little amusement arcade. Boo!!! !